Thanks to the generosity of so many we have been able to cast a new set of 8 bells, replace the water-damaged 1895 oak frame with an iron and steel frame, and refurbish our five historic bells. ​Too many towers have fallen silent because of the high cost of repairs and maintenance. At Saint Mary's we made a commitment to safeguard the future of bellringing by investing in a set of 8 tuned bells. The bells are in the key of G and were cast in 2016 by John Taylor Foundry and rung for the first time in May 2017. The tenor weighs 11cwt - 1qr - 12lb (577kg, 91 stone). A 500 year old tradition has been preserved. 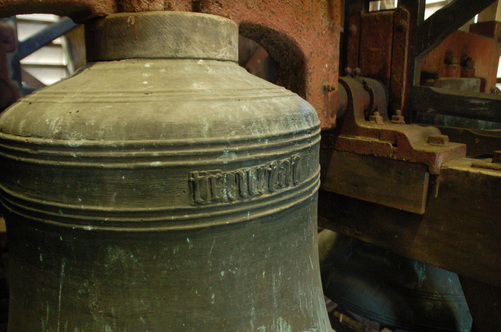 Church bells will continue to be heard in Richmond now and into the forseeable future..